Apple was one of the first to launch a supporting device to your television that could potentially make it an extension to your computer/mobile. With Apple TV, you could stream off of your personal devices onto your TV. Then came Google Chromecast. And now Amazon Fire Stick. All of them connect to an HDMI port on your TV. All of them need a fast internet connection to work properly (2-3 Mbps at least, although Amazon Fire Stick requires 4 mbps). All of them have an app-based interface. None of them allows full mirroring of your system. You can only mirror certain apps, such as Safari, Chrome, etc. Amazon Fire Stick and Apple TV both have voice control. However, Apple TV’s Siri doesn’t work in India. Amazon’s Voice Remote, on the other hand, does work in India. Chromecast’s biggest drawback is that there is content platform unique to it. Apple TV does have the iTunes, however, the content is barely enough. Amazon, on the other hand, brings the entire Amazon Prime Video library to your TV. And from the looks of it, Amazon is stepping up its content game in India with every passing day. Amazon is hoping this content advantage even further, as the Fire Stick is the only device of the three that has access to the Amazon Prime Video database. All the other major platforms — YouTube, Netflix, Hotstar, ErosNow, etc. — are all available on all of the three devices. Google and Amazon have priced their products in more or less the same price bracket. Apple, true to its usual self, thinks it’s more than three times the worth! Google Chromecast 2 costs Rs 3,399, and Amazon Fire Stick comes at Rs 3,999 (with a discount of 499 for Prime customers). On the other hand, Apple TV (fourth gen., 32 GB version) is priced at a whopping Rs 13,500!! Right now, none of these devices is a must-have for Indians. However, they are changing the game, which is a great sign. In a couple of years’ time, when we will have to the necessary infrastructure, then we can think of making these gadgets indefensible parts of our lives. 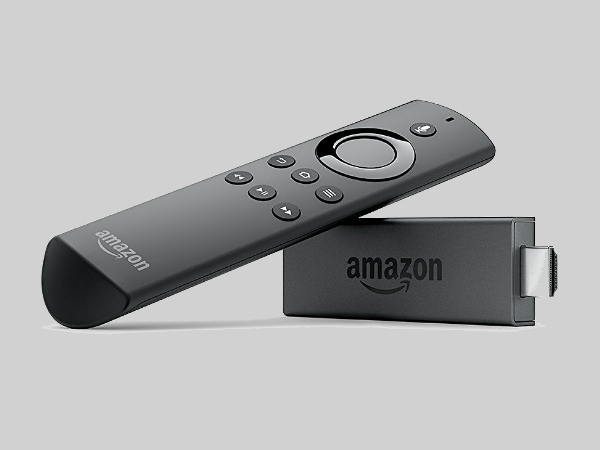 Amazon Fire Stick has been launched in India. It’s availabe for Rs. 3,999 with loads of freebies like compilmentary Amazon Prime subscription, free Airtel Broadband data etc. Click here to buy / get more details.